Words of the week: Zodiac, Emperor and fortune. Our week started off really well, the children were full of beans about the Chinese New year and had clearly enjoyed spending time doing their talk homework last weekend. They were all keen to share what year they had been born and talk about the year that members of their family were born. We have also had some great discussions about the Chinese New year and the new words that we came across when learning about the zodiac story. The children are really good at deciding where new words should go on our traffic lights and reflecting upon where we should move the existing words on our traffic lights. This week we have been thinking about children around the world and how important it is to show respect to others. The children have really demonstrated their caring side this week and have been keen to look after their peers. Whilst playing outside it has been great to see the children showing care and concern for our plants, they have been keen to observe any changes in the flowers and have taken extra care to look after them. We have enjoyed dancing this week, taking inspiration from the Chinese dragon dancing. . The children have been moving in time to a rhythm and copying each other’s movements. We have also enjoyed putting our dance moves to good use and had a go at Zumba. This was fantastic and the children really impressed me with their rhythm and co-ordination. With our year three buddies we learnt an Indian dance and were keen performers. Our focus this week has been zodiac writing, we have been using our phonic knowledge to help us fill in the names of all the animals on the zodiac. This week we have also completed set one of our phonics sounds and we have been revising all the sounds that we have been learning. The children have yet again impressed me with their letter formation. This week in maths we have continued to work on adding two numbers to find a total, I have been really impressed with how well the children have coped with this and how they have chosen to explore this further in their independent learning time. Towards the end of the week we have been learning about subtraction and have been using objects to help us visualise what subtraction is. Our focus this week has been Chinese New year. We have enjoyed learning about the Chinese zodiac story, talking about the different animals in the race and remembering the order in which they finished the race. We have also enjoyed tasting some Chinese food and talking about the different flaovours. We have enjoyed making our own Chinese lanterns this week and have been thinking about the colours that we might use to create them. The children have also finished their Kandinsky inspired artwork and they look fantastic. They all did a great job, looking carefully at the colours that Kandinsky used and then picking their own colours to create a concentric circle inspired piece of art. These will be on display in the shared area for you to see. In addition to the phonics and talk homework I would like your child to write about their half-term break. Please use the page provided and support your child to write about something that they have enjoyed during their week off. This should be your child’s own work, although you can support them with pencil control, letter formation and sounding out words. Please could all named pieces of work be returned by Tuesday 23rd February. This shouldn’t take them too long and should be similar to our weekend news writing. A big thank you to everyone who came to our international evening, it was fantastic to see so many of you there. I hope you enjoyed it. I would like to say a really big thank you to Maisy Pilley’s Mum for all her hard work in preparing and running our stall. At last our igloo is finished! WOW leaves will be shared on Friday 26th February. 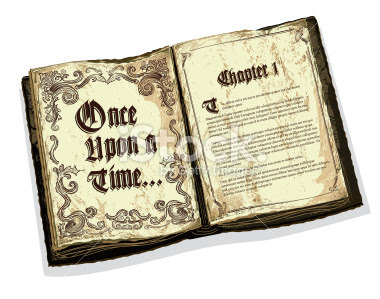 Our topic will be ‘Once upon a time’ and we will be exploring lots of traditional tales through storytelling. At the start of next term you will receive a copy of our plan. Thank you for all your support this term. Have a lovely week and I look forward to seeing you on Monday 22nd February. Over the holiday please discuss this as a family. We will spend time discussing it as a class on Monday. What is your favourite story and why?